Over the past several months major U.S. stock market price indices have climbed to record highs. North Korea’s “Rocket-Man” threatens the U.S. with nuclear weapons. The Federal Reserve (Fed) continues to raise short-term interest rates and starts laying the ground work for reversing its bond buying experiment. Political division intensifies still more. Many shopping malls resemble ghost towns and robots threaten to “take all the jobs”. A Catalonia “Brexit” in Spain could shake the European Union. Las Vegas experiences the worst mass killing in US history. New market highs, lots of worries – doesn’t bad news matter? And, speaking of the Fed, despite unprecedented stimulus for nearly a decade, inflation and economic growth continue to fall short of the Fed’s intended mark. Does Fed policy matter less than the Fed itself believes? Tax cuts and tax reform are being considered within Congress. What about budget deficits? What about the belief that trickle-down economics doesn’t work? Don’t these concerns matter? 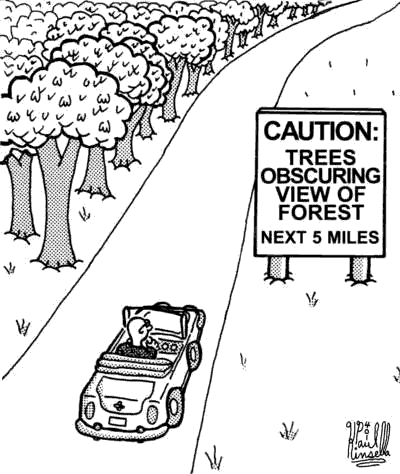 What follows is our perspective on these market matters. The stock market rising despite bad news and constant worries is nothing new. 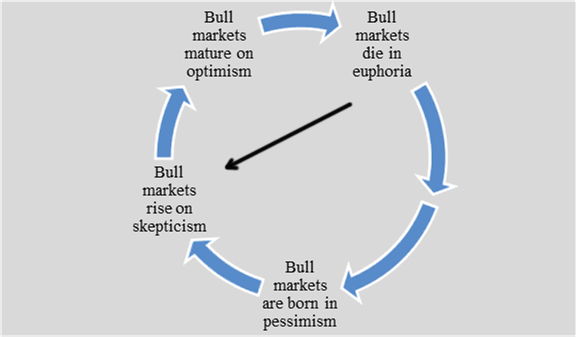 On past occasions, we have presented John Templeton’s observation that investor psychology follows recurrent patterns within advancing (“bull”) markets. The following “clock” reflects Templeton’s ideas. The current bull market was born in the pessimism of the 2008 Financial Panic. In the aftermath of the Panic, many thought a Great Depression rerun was in store. Others repeatedly warned of double-dip recessions and “tail risk”. As we have pointed out along the way, fear, uncertainty, and doubt about most financial things has characterized the general mood even as the distance from the Panic lengthens. Against this backdrop, the expectations for the economy, corporate earnings and stock market prospects have been very low. And while things haven’t been great, the economic expansion and corporate earnings growth have generally exceeded the too-gloomy expectations. And it’s not that the bad news doesn’t matter to stock investors. It’s just that corporate earnings matter more as Charlie Munger’s quote below reminds us. ”“In the long run, a company’s earnings determine its value and, consequently, the price of its stock. Markets overcoming worries is the norm. A couple of specific examples may help make this point. If you’ve been watching the Ken Burns/Lynn Novak PBS documentary on the Vietnam War, we bet you’d agree the film does a good job of capturing the tremendous social and political upheaval of the 1960s. Assassinations, a war managed for politics, massive societal and cultural transformations, marches, riots, growing distrust of Washington D.C.—what a mess! Given the constant drumbeat of bad news, one would think the 1960s must have been a really lousy period for stock investors. Yet despite the turmoil, stock returns for that decade still averaged +8% per annum, even though recessions pressured corporate earnings growth at both the beginning and end of the decade. 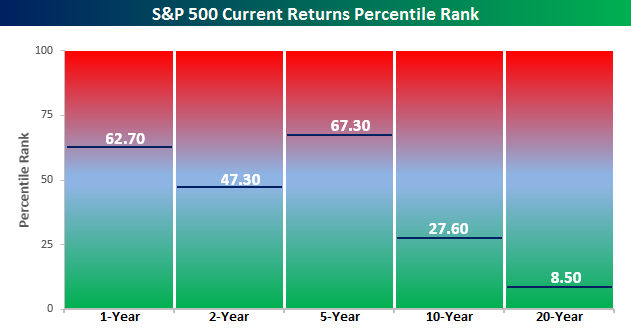 By the way, for those that fear the current stock “bull” market is totally unhinged from reality, the annual average for stock returns during the tumultuous 1960’s decade exceeds the current +7% trailing 10-year return! Granted, economic growth was better in the 1960s than what it’s been in the current economic expansion. (As we shall discuss in a later section, JFK’s tax cuts played a big role in the strong growth of the 1960s). So let’s reach back a bit further in history, back to a time when economic growth was closer to that of the present experience. The 1950s represent such a period. The +8% average return for the 1960s decade followed a robust +19% annual return on stocks during the 1950s. 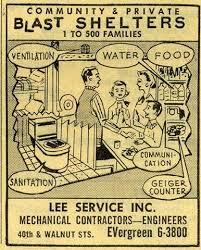 While nostalgia often blurs hindsight, it’s easy to overlook the formidable wall of worries that had to be scaled in the 1950s. The decade began with widespread fears that the Great Depression would resume with the World War II military buildup over, and returning soldiers would flood the labor market. The Korean War added to the worries as did fears of cold war nuclear attack. In addition, successful Sputnik space efforts added to the beliefs of some prominent pundits that the USSR would prove to be superior to the U.S. in research, military, equalitarian, and economic terms. The relative slow economic growth achieved across the two terms of Dwight Eisenhower’s presidency was only a bit better than recent trend growth. However, much like the start of the current bull market, the wall of worry back then had stocks priced for really bad news, so the expectations “bar” was very low. While stocks are again climbing a wall of worry, aren’t they overpriced, or at least due for a significant pullback? After all, market record keepers note that the present stock bull market is the second longest in U.S. history. Only the market advance that began in late 1987 and ended in early 2000 is longer at this point. We offer some perspective on stock valuation in the appendix. But before we discuss the possibility of a market pullback, we would like to add a bit more context about the present stock market advance. Key attributes of the bull market are reflecting the character of the underlying current economic expansion. At nearly nine years and counting, this expansion is also one of the longest on record. Also like the underlying economy, the present stock bull market has been relatively muted in strength as Chart 2 reflects. An important point of note is that Chart 2 contrasts recent returns not just with other bull markets in U.S. history, but with returns across all types of economic and investment environments that have occurred since the mid-1920s. We still believe skepticism remains high and economic expectations remain modest. “Secular stagnation” continues to be a common view when it comes to economic prospects. Many “experts” extrapolate the 2% real economic growth and 2% inflation trends experienced in recent years well into the future. Chart comment: Real yields, as reflected by Treasury Inflation Protected Securities (TIPS), tend to match the economy’s growth rate trend. 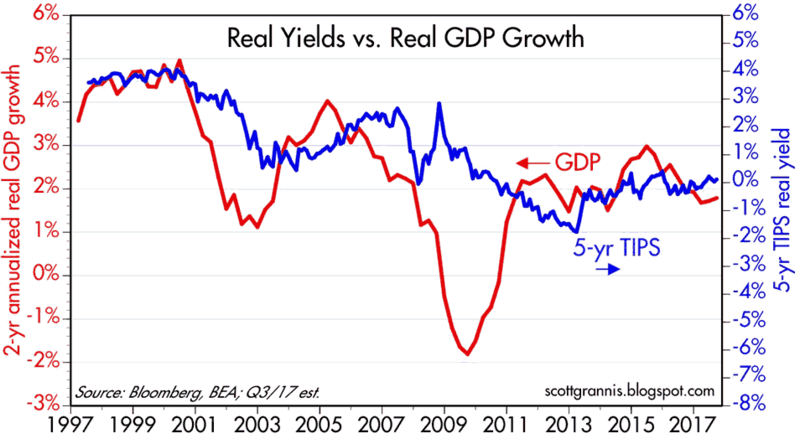 The current level of real yields is consistent with economic growth of about 2%. If market participants were more enthusiastic about the economy, TIPS yields would be much higher. Regarding the underlying fundamentals, job growth and income growth continue to advance. Despite fears of not enough jobs and displacement by automation, employers are increasingly reporting worker shortages. Also contrary to widespread predictions, the so-called millennial generation (larger than the baby boom in number by the way) is beginning to behave in an economic sense similar to previous generations. They are becoming employed (Chart 4), forming households, having children, moving to the suburbs, buying homes and home furnishings and SUVs as the headline below to an NPR story notes. ”“As Millennials Get Older, Many are Buying SUVs to Drive to Their Suburban Homes. Meanwhile, the economic dynamism of creative/destruction is at work as the digital and physical economy merge. As last quarter’s Dual Duel Perspective discussed, this dynamism is displacing the status quo in many industries, and contributing to the general feeling of angst. But it’s the very emergence of innovative goods and services that disrupts the status quo as part of the process of economic advancement that lifts the standard of living over time. In addition, the silver lining in the slow growth character of the current business expansion is the general absence of boom/bust behaviors. The seeds of recession are largely sown in accumulated excesses (typically debt and inflation). Boom conditions seemingly lend themselves to unsustainable excesses. By our reckoning, looming trouble spots of sufficient size to threaten the current economic expansion are largely absent at this point. In addition, U.S. economic growth is now being joined by business expansions underway—for the first time in a decade—in most countries around the world. This development reinforces business confidence and increases the willingness to expand employment, invest for the future and pursue new business opportunities. Tax cuts—if they come to pass—will further bolster economic dynamism as we discuss in a later section. With no recession on the immediate horizon, we believe both the expansion and the bull market can persist for some time yet. As crazy as it may sound, we expect the Templeton clock hand to reach the “optimism/euphoria” time zone before the bull market ends. 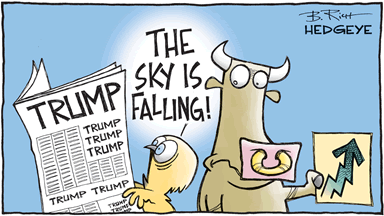 Of course, the stock market may well suffer unnerving market declines along the way. As we’ve noted in the past, historically -10% price setbacks have occurred at least once per year. However, as long as underlying fundamentals (corporate sales and earnings) continue to move higher, setbacks will likely be recovered in relatively short periods of time. Enduring such volatility is the price paid for rewarding returns. The next “bear market”—a prolonged, broad-based, large-scale decline in stock prices—by contrast, will likely be associated with the next downturn in the economy and deteriorating corporate earnings. That’s likely some time off yet. How much does Fed policy really matter? Fed policy matters a great deal of course. Their lender-of-last-resort actions in the Financial Panic helped prevent a Great Depression rerun. In this regard they are very powerful. But, belying this power, they cannot manufacture economic growth. “All” they can do is foster (or inhibit) the growth process which rests with innovation and population growth. Unless, and until, big excesses in debt and/or inflation accumulate and compel them to act differently, their policy will likely continue down the path of moving from “ultra-to-extremely” accommodative. We don’t foresee their policies materially inhibiting the growth process anytime soon. What about their power to create inflation? 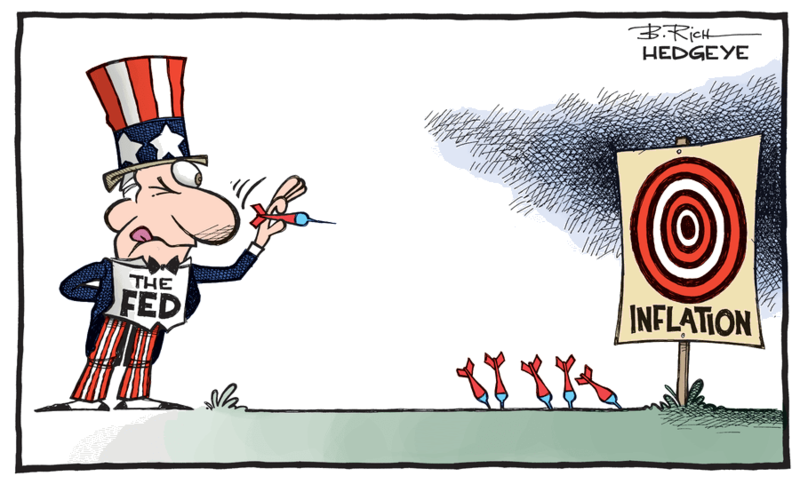 For those of us that recall double-digit interest rates and inflation, it seems incredible that the Fed is falling short of reaching a 2% inflation “goal”. Fed Chair Yellen recently expressed “mystery” about the Fed’s ability to hit its self-imposed inflation mark. Sometimes the world changes must faster than thoughts about it change. It appears that innovation and demographic developments may have altered past linkages that existed between Fed policy and the economy. These changes may well make our economy less “inflation-prone” than was the case in the late 1960s-early 1980s. ‘David Foot, the famous Canadian demographer, stated that ‘demographics explain 70% of everything.’ The die for disinflation was struck decades ago when total fertility rates for the world began to decline, starting with the more developed world, and followed by the less developed world. The ‘weakness’ in inflation is a global phenomenon. It reflects the ageing of [a planet’s population]; a global deceleration in the rate of growth of demand. At the same time, there is ample global supply. Our view has been and remains that price inflation will surprise to the downside. We are not suggesting inflation cannot rise. We believe it will likely tick higher in cyclical fashion over the next few years. As Chart 3 presented earlier suggests, even a modest increase in inflation and/or the economy is not presently priced into the bond market. We expect bond yields and inflation to move higher, although to levels that will likely remain relatively “low” by historical standards. North Carolina significantly reduced its corporate and personal tax rates in 2013. Since then it has outpaced the nation in job and income growth, enjoys one of the lowest unemployment rates and has a budget surplus. Now, two common complaints are being heard. That people follow opportunities and respond to incentives hardly seems a revelation. Yet when it comes to tax policy, the power of incentives often gets lost in the political shuffle. ‘Proponents of tax rate cuts base their arguments on anticipated changes in behavior by investors in response to reduced income tax rates. Opponents of tax cuts attribute to the proponents a desire to see higher income taxpayers have more after-tax income, so that their prosperity will somehow “trickle down” to others. Opponents of tax cuts deny (the trickle-down result) will happen. One side is talking about behavioral changes that can change the total output of the economy, while the other side is talking about changing the direction of existing after-tax income flows among people of differing income levels at existing levels of output. The real effect of tax rate reductions is to make the future prospects of profit look more favorable, leading to more current investments that generate more current economic activity and more jobs. The very idea that profits “trickle down” to workers depicts the economic sequence of events in the opposite order from that in the real world. Confusion between reducing tax rates on individuals and reducing tax revenues received by the government also runs through much of these discussions over these many years. Sowell’s book details the impact of the four episodes (1920s, 1960s, 1980s and the modest cuts of the early 2000’s) when tax cuts occurred at the federal level. The results? In each instance economic output and incomes experienced accelerated growth, federal tax revenues rose and unemployment declined. ‘That the 1950s were not years of consistently expansive, ever-blooming prosperity is a surprise to many Americans, who are given to think that the first full decade after World War II was phenomenal economically, perhaps the greatest era of prosperity that there ever was. ‘Things were clearly wrong with this state of affairs. 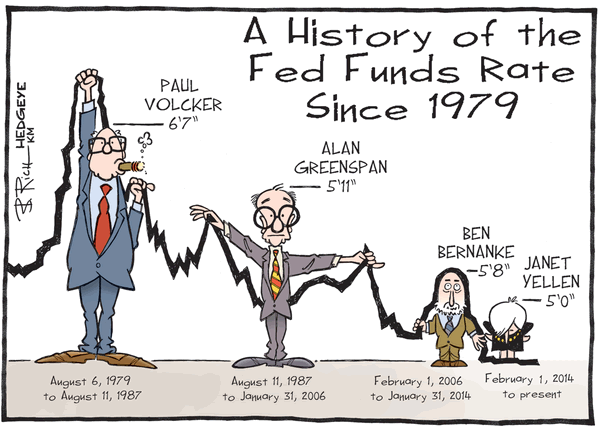 Recessions were too frequent. The recession of 1960 was the fourth in eleven years. They were coming so often that not all of those laid off in one recession could find a job by the time the next one hit. The ‘structurally unemployed’ were a growing group. Perhaps better than policymakers, the markets know what really matters. The final market matter we’ll address is stock valuations. While corporate earnings (“E”) have risen, so have stock valuations (“P/Es” or stock prices divided by earnings). Some stocks within the market may well be overvalued as a result. But we believe such an assessment requires a stock-by-stock evaluation at this point. Stocks that we own that become over-valued in our estimation, will be trimmed or sold outright. However, many stocks do not appear out of line with their growth prospects. 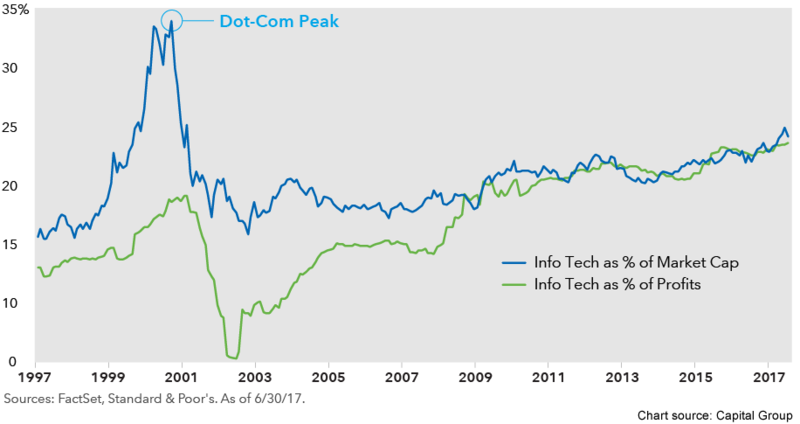 Consider for example, technology stocks—an area well represented within our investments. 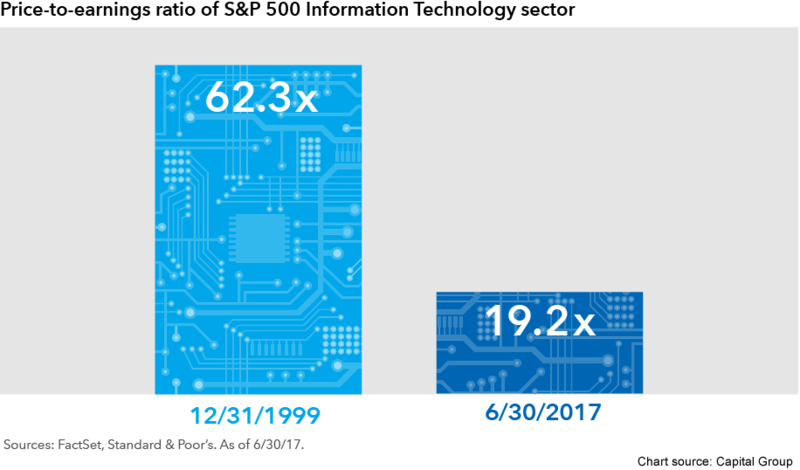 As the “software’s eating the world” trend we discussed last quarter picks up steam, some market pundits are proclaiming a repeat of the Dot-Com boom and bust of the New Millennium is at hand. Charts 5 and 6 suggest such worries may be misplaced. Like the dynamic nature of the economy and business conditions, constant assessment of what matters most—underlying fundamentals and stock valuations—is necessary. 5 Some critics belittle Domitrovic and Kudlow as “supply-side tax cutters.” To dismiss their book on that basis is a pity. The authors provide an informative account of the 1950s and 1960s. The book also presents the very basis for the authors’ adopted economic views.